Villa Oneiroi is a unique property located at the highest spot of Oia village in Perivolas area. Its amphitheatric position offers fantastic views over the cliff, the village, the beautiful sunset and the volcano, all at the same time. 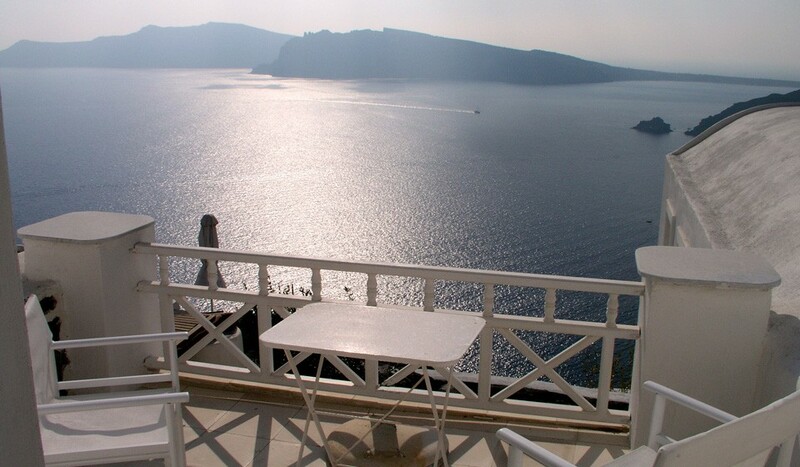 The location of the villa is very convenient as it is just 500 meters from Oia center. There is an external Jacuzzi mini pool for 6 persons available under a shaded veranda in the main court yard with fabulous view to the caldera and the village of Oia. This lovely villa in Oia consists of three levels (main, upper and lower), which can be united in one villa for a big family/group of friends or two separated houses, the Oneiroi Residence and the Oneiroi Loft. Bedroom 1: Upper floor Master bedroom with a king-size bed and en-suite bathroom with shower vanity and WC. 2 guests maximum. Bedroom 2: Lower floor bedroom with a double bed and private bathroom with shower vanity and WC. 2 guests maximum. Bedroom 3: Upper floor bedroom with a double bed and private bathroom with shower vanity and WC. 2 guests maximum.